So, we are back from Mexico. Time flies when we are having a good time, indeed! It was a fun trip, but far from relaxing. All I know is we won’t be doing much flying and travelling like that with 2 toddlers. I had been dreading the idea of having to fly with Helena for 5 hours especially now that she is this super hyper toddler. I knew that no matter how prepared I would be with games and snacks, she would not be able to not run around for so many hours. My mom told me it would be easier this time because we were three adults watching only one kid. I knew in my heart it wasn’t that simple. 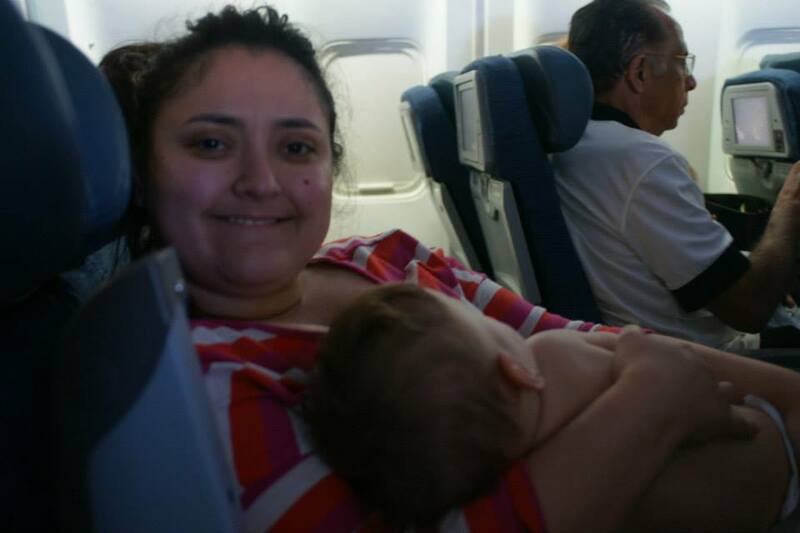 I had talked to a friend about my concern with flying with Helena and she told me another mom she knows had recently got back from a trip to Mexico and used melatonin to get her kid to relax during the flight. This kid is Helena’s age. My mom and I did not feel good about the idea of using medication, but I read about it anyway. I found out it is a natural medication that does not require prescription. Also, it does not cause any harm if used sporadically. The continuous use could cause some harm and dependency. We were obviously not planning to use that every day, so I was relaxed about the idea of using it as a back up plan in case she would freak right out during the flight. a) Downloaded some toddler apps to the ipad. I did a little research, first, on the best apps for someone her age. I got a couple of apps for drawing, a couple of educational apps that teach the little one to spell and to count and a couple of other games. b) Downloaded some cartoons to the ipad. She loves Dora and Sponge Bob, her new passion, so I downloaded about 12 episodes of each. The plan was to get her as tired as possible prior to flying. Our flight to Mexico would leave at around 10 a.m, a time of the day in which is she is far from being tired. We got her to bed really late the night before hoping she would be tired the next morning. She was somewhat tired when she woke up, but she napped on our way to the airport which means her batteries were fully recharged ! As it was an international flight, we got to the airport extra early which allowed us enough time to get her tired again. We walked around the airport with her and got her to play at the kid’s play area. 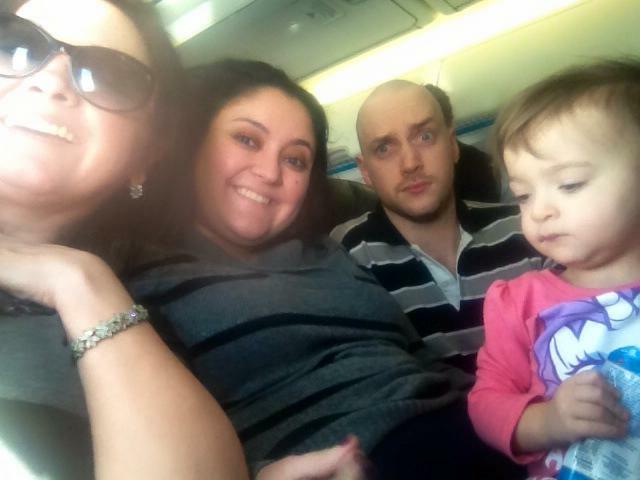 By the time we had to board, she was super tired so she was really fussy – which was not good. I kept wondering if I should give her the melatonin, but I was hesitant. When we finally boarded, she was hyper again, but as a consequence of being overtired, I suppose. We tried to calm her down, but the hurt in her ears from take-off did not help much. That was it, she blew up! Tantrum full force was unleashed. Nothing could calm her down, and we couldn’t walk with her because they were already serving foods and drinks. She did not want to be with anyone else but Dan which did not help much. We decided it was time to give her the melatonin. I broke the pill in 3 pieces and gave her 1/3 of it. Actually, it was less than that as I was not able to break it evenly. After that, I suggested that Dan should try and go to the back of the plane with her to both keep us from getting the nasty looks and also because the back of the plane is loud and I thought it could work as white noise. Dan managed to squeeze through the food carts and got to the back of the plane. I could still hear her crying faintly, so I could not sit back and relax. I managed to squeeze through too. When I got to them Helena threw herself at me, and I comforted her in my arms and she fell asleep right away. We waited until they could make room for us to walk to our seats again. Helena slept for about 2 hours to 2 hours and a half. She slept on me the whole time so I could not move at all which was uncomfortable, but it was a price I was willing to pay. When she woke up we still had about an hour and a half to go. 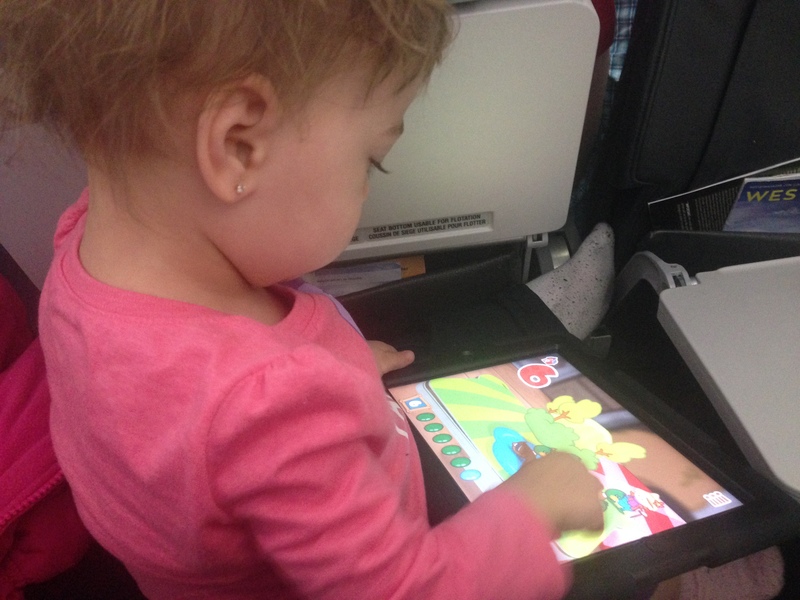 She wasn’t hyper tho, she was fairly relaxed which worked out great because the games, tv shows and snacks were enough to keep her busy until the end of the flight. Overall, it was a good flight. Even though the beginning was rocky, it was good to have those 2 hours of break. I wondered how much the melatonin had helped because I had given her so little of it. The flight back home was booked for 4 p.m so I was a bit more hopeful it would be a better flight. We tried to get Helena as busy as possible during the day at the resort. We took her to the pool and played with her. Once again we got to the airport super early and Dan and my mom played with her up to the point we had to board. Our flight was almost an hour late which sucked big time. She was super tired, but not grumpy this time. We decided to give her the melatonin before she would get too distressed. It is hard on every one when she gets to the point, especially on herself. So, we wanted to avoid it as much as possible. We gave her 1/3 of melatonin again as soon as we got to settle in our seats. She watched the plane’s tv for a bit then she fell asleep. Once again, she slept for about 2 hours and a half. Once again she slept on me. I wasn’t feeling well at all though, but this will be the topic of another post . I tried to get her to sleep on my mom and dan for a bit too, but it didn’t really work so she woke up. But, once again, the games and tv shows were enough to keep her busy until we got home. I thought the long nap would keep her from going to sleep once we’d get home, but we had no problems getting her to sleep. She was exhausted. I don’t know how much effect the melatonin had on her, and I know some people are against using medication on kids during flights – I know I was this person before. But, I don’t regret using it. I believe something natural like melatonin could only become a problem and a harm if used frequently which is definitely not our case. Like everything else in life, excess is the problem. I am glad she had a relaxing flight because it must be really hard on a little one to feel that stressed and constrained. Above all, I am glad she did fine during our flight back home because I thought I was freaking dying. Imagine if on top of that she was freaking out too.